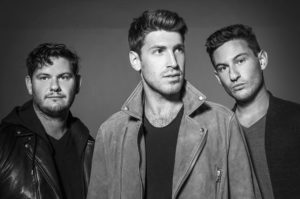 “I was a little weirded out by the whole LA scene,” admits Ben Schneid (vox/guitar/keys) of the Los Angeles-by-way-of New York City alt-rock trio, Foxtrax. But let’s not harshly judge Schneid for a sentiment that most LA transplants have felt at some point before (during and after) committing to calling the City of Angels “home.” After all, transitions can be unsettling and in the case of Schneid and his brother bandmates Jared Stenz (bass) and Jon Stenz (drums), they didn’t even realize they would actually need a car in their new environment. A perfect example of how NYC conditions/spoils one on the luxury of 24-hour public transportation that can and will take you practically anywhere within the city that you need to go. 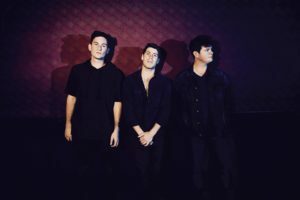 Ben: “I think that the past two years moving to LA are encapsulated by the three first songs that were released [“Grey Morning,” “Nothing Lasts Forever” and “Everything’s Changing”]. The experience of the grey morning, and how daunting and overwhelming things were. Into a feeling of – wow -we’re really in this position, and it’s a grind, and it’s really difficult, it’s really challenging. But that doesn’t last forever. Finally, I think we’re just getting to the last phase of that, which is that everything’s feeling like it’s starting to change for us in a positive way. That feels really great, because we’ve worked really hard to get here, but life’s really short, and it’s not really necessarily about the destination, as much as it is the journey.